Lakeside Gutter Products is proud to carry GutterRX. The ridges make GutterRx™ self-cleaning by promoting air flow. Dry debris blows off the system with a slight breeze. GutterRx is an all aluminum system so you don’t have to worry about it warping or deteriorating over time. GutterRx completely encloses your gutter so birds, squirrels and insects cannot build nests. GutterRx is attached to the front & back of the gutter which strengthens the entire gutter system making it strong enough to handle snow and ice buildup. 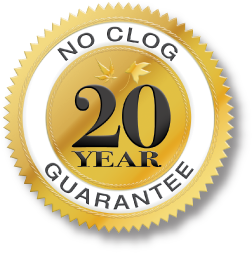 GutterRX also carries a 20 year – No Clog Guarantee. Visit the GutterRx™ website for more information.